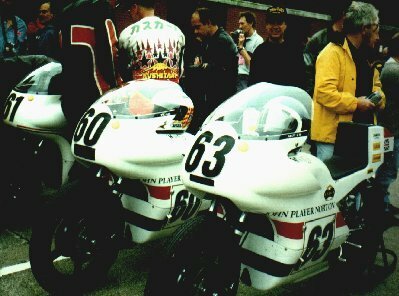 Sadly, no Nortons were competing but three John Player Nortons took part in the TT Lap of Honour. 1974 Space frame (61). Owned by Joaquin Floch-Rusinol and ridden by Alan Cathcart. 1973 Monocoque (60). 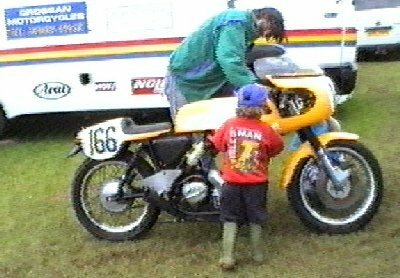 The machine ridden to victory (it says here) in the 1973 Formula 750 TT by Peter Williams. Owned and ridden by Joaquin Floch-Rusinol. 1973 Monocoque (63). The machine ridden, and crashed in practice, by Dave Croxford in the 1973 TT. 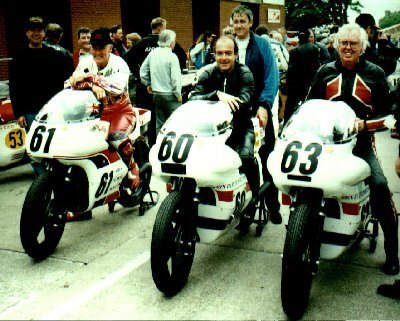 Owned, restored and ridden by Mike Braid. 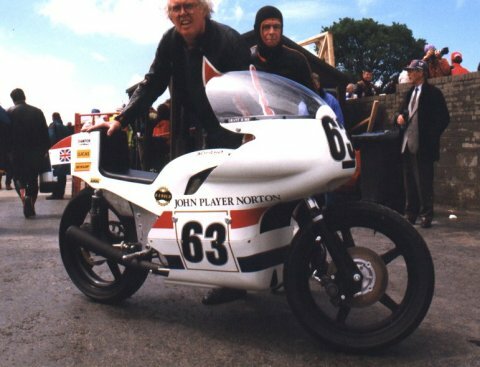 Pete Lovell rode Stan Thomas' 1972 Production Racer. Starting nearly last and returning with about 30 bikes ahead of him, Pete must have passed 4 bikes per mile, including the JPNs (ha!). It's not supposed to be a race Peter. The team mechanics work at fever pitch to prepare the machine for its parade lap.